While managing any bowel irritation can be difficult after discomfort begins, there are many products that are specially formulated to prevent irritation before it causes problems. 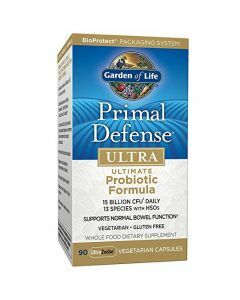 Garden of Life Primal Defense products have been developed to prevent discomfort when taken as part of a regular supplemental diet. Preventative routines are the key to managing digestive system and bowel issues. While knowing which foods or activities may trigger discomfort, it’s also important to keep a regular routine with health and diet supplements. Primal Defense supplements are all designed to help you and your gut become as healthy as possible. 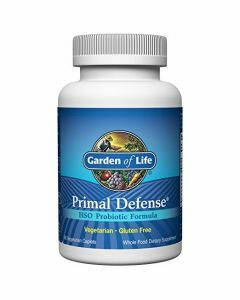 Primal Defense products—which are developed by Garden of Life and include both Primal Defenseand Primal Defense Ultra supplements—include probiotic supplements designed for healthy, effective digestion. All the products are natural and filler-free to defend against additional irritation. The company also refrains from using artificial coloring and preservatives. The Garden of Life is the #1 U.S. Department of Agriculture Organic-verified company and believes in making supplements the natural and healthy way without growth hormones, synthetic fertilizers or pesticides. Meanwhile, the company also vows to develop each product without genetic modification to any of the foods that are grown for the supplements, making them the perfect choice for those concerned with their health and remaining eco-conscious. The Primal Defense Probiotics are designed and packed with good bacteria that live in the body’s digestive system and regulate digestive functions and discomfort. Even better, they’re also vegan-friendly and vegetarian! They’re especially significant to good gut health and those suffering from inflammatory bowel diseases including Irritable Bowel Syndrome, Crohn’s and Colitis. Primal Defense probiotics include 15 billion live cells in each capsule and are also available in a powder. The probiotic formula also helps give the body a boost to the immune system to help fight off sickness or irritation. 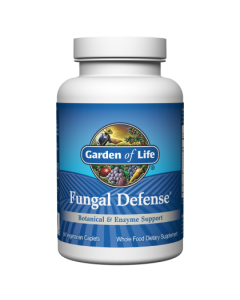 Additionally, another Primal Defense product, Primal Defense Fungal Defense, is designed to add enzymes to the body to help regulate flora and keep the balance between yeast and bacteria right. A regular fungal supplement can help prevent against irritations such as yeast infections and athlete’s foot. Whether you opt for Primal Defense or Primal Defense Ultra supplements to boost your health, the benefits are undeniable. See which is right for you to start feeling healthier today!